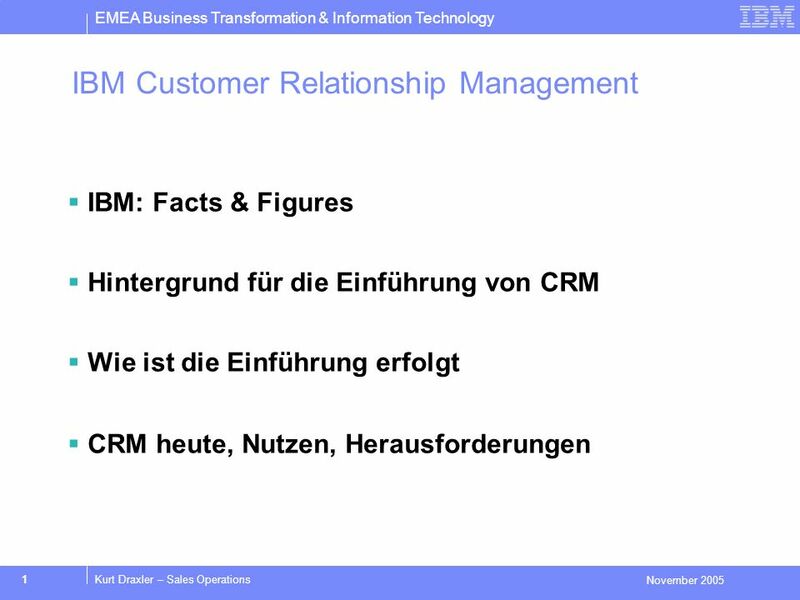 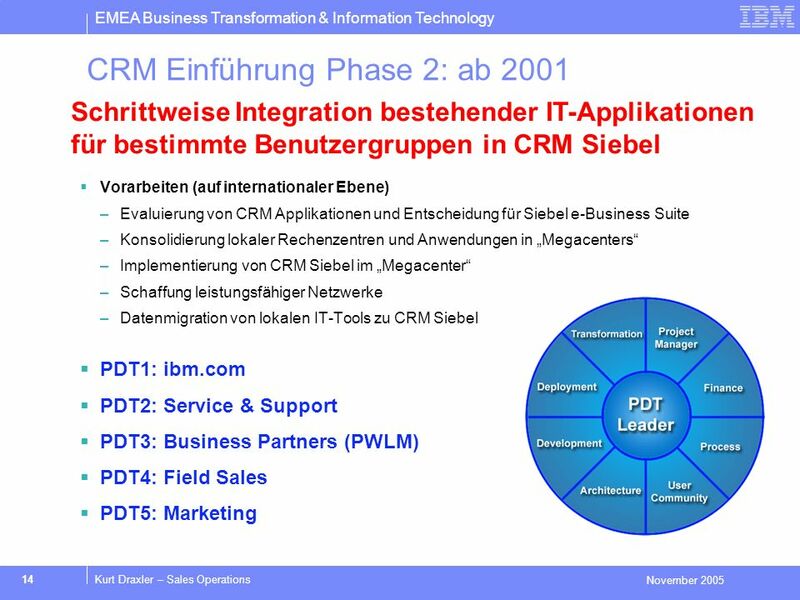 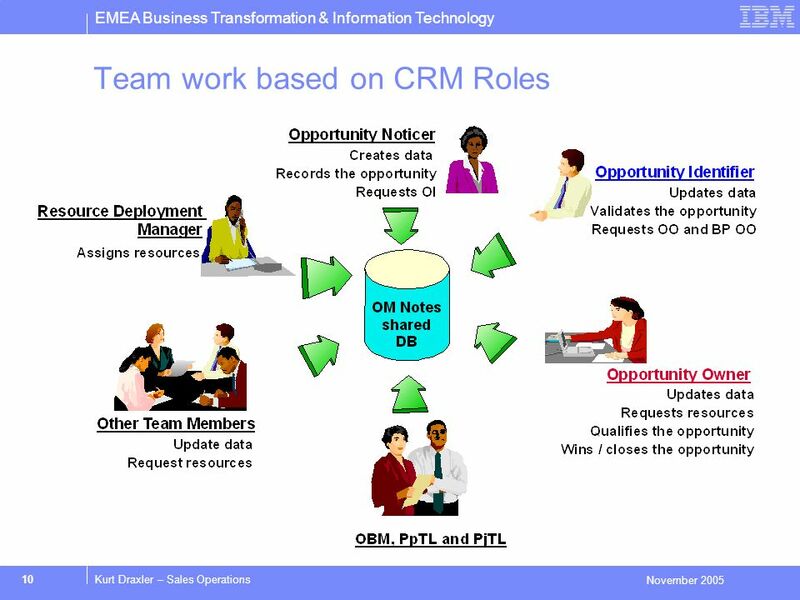 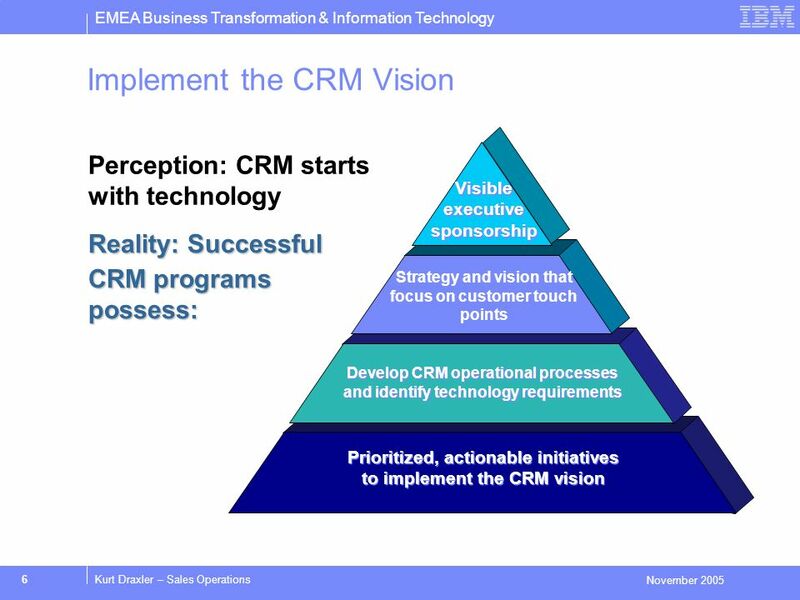 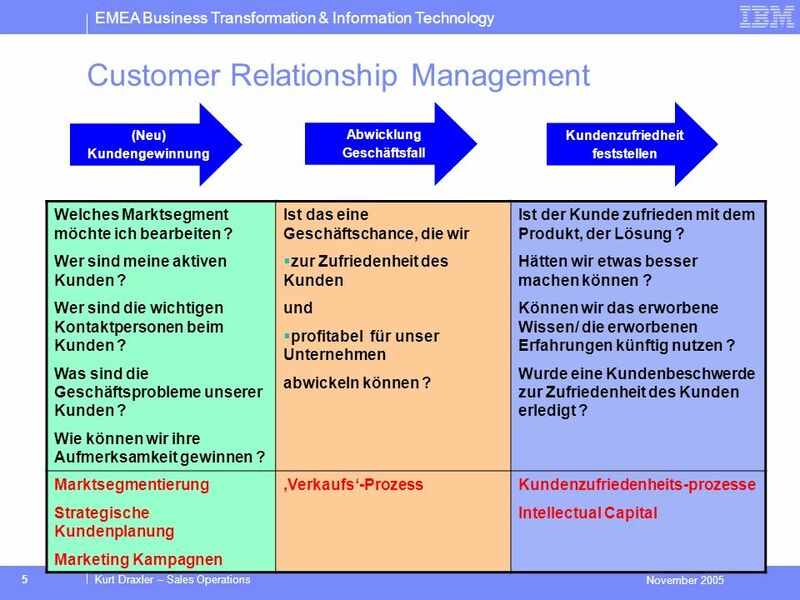 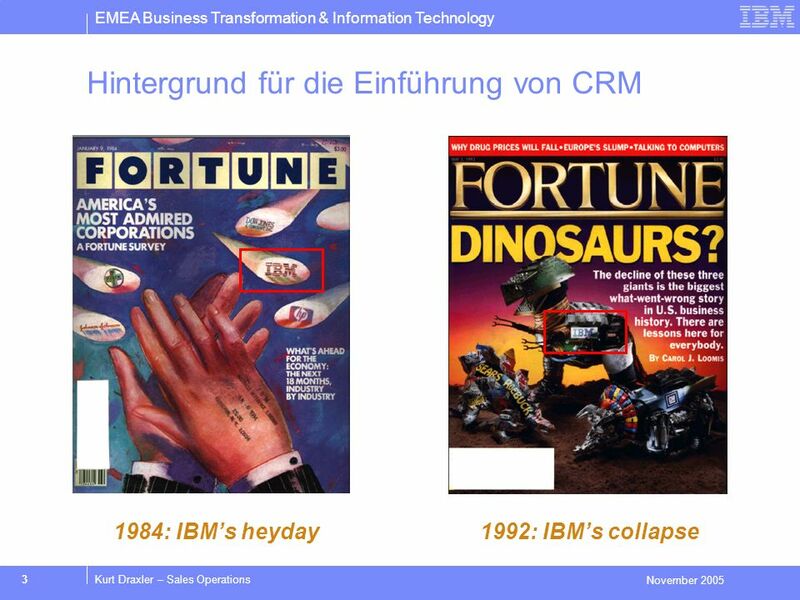 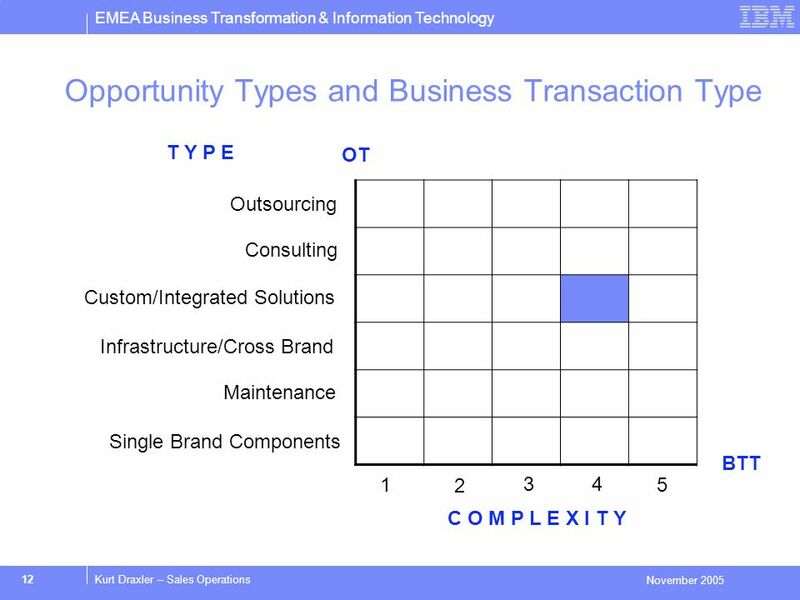 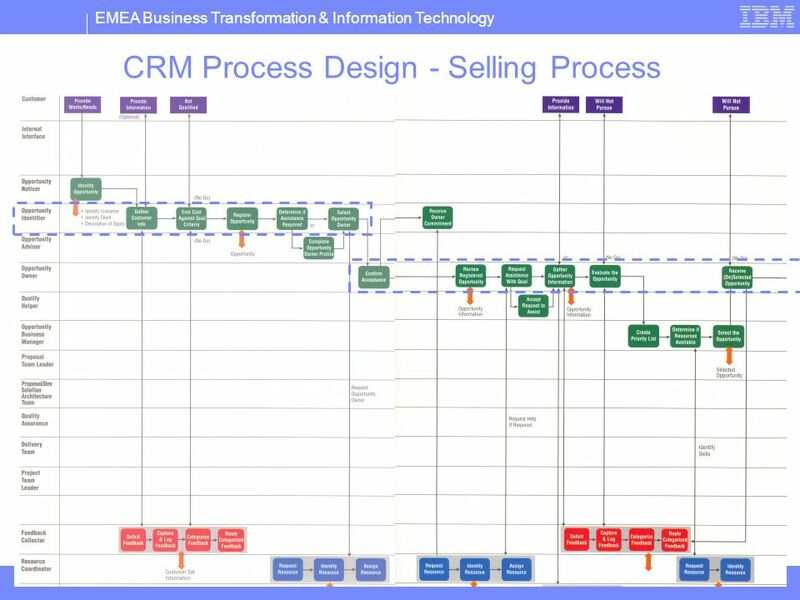 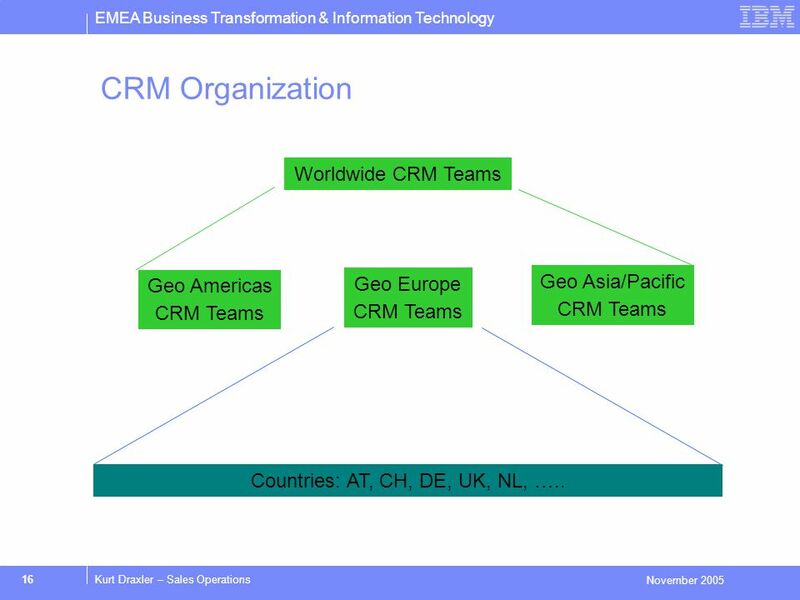 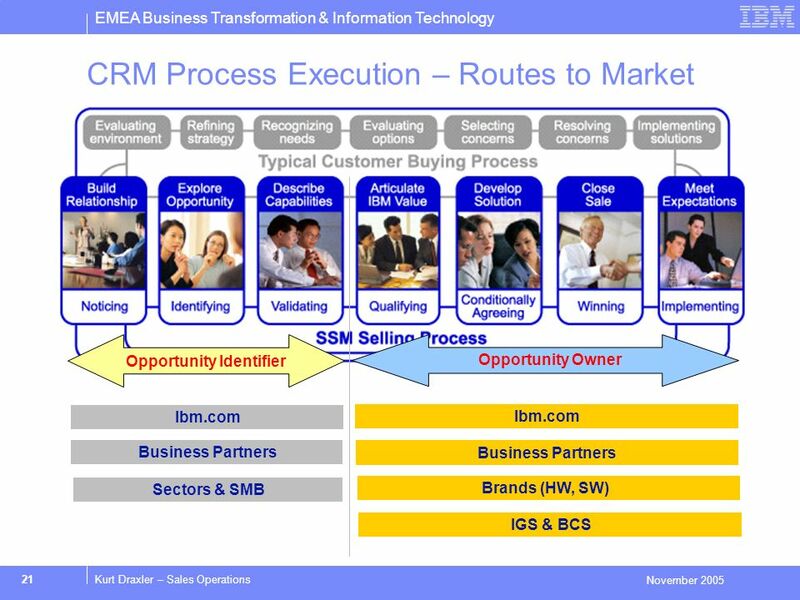 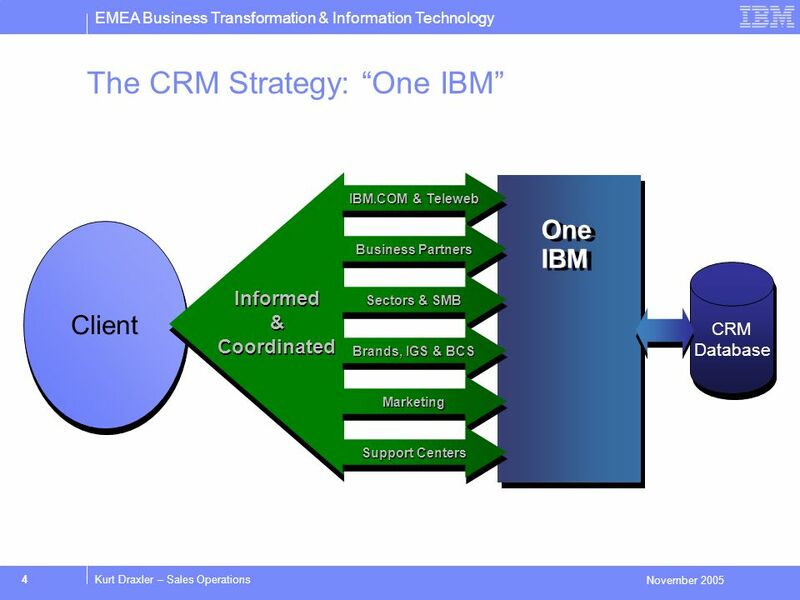 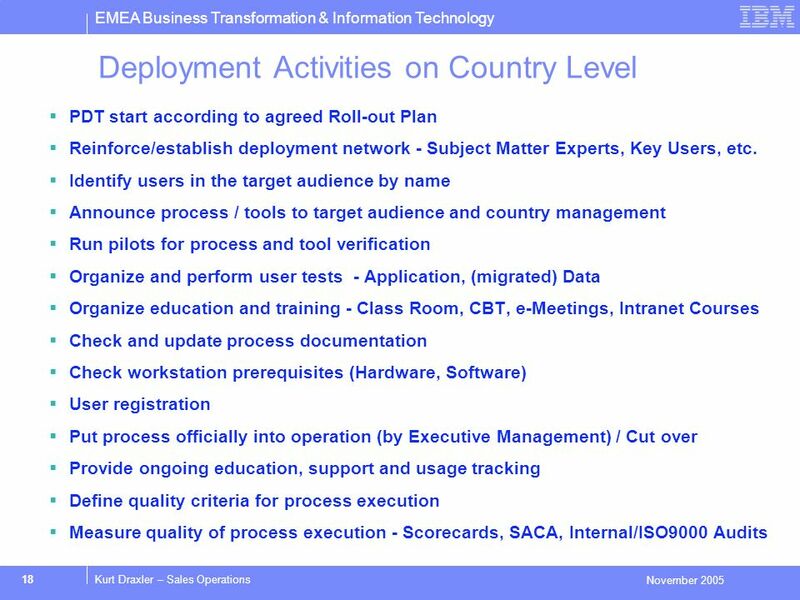 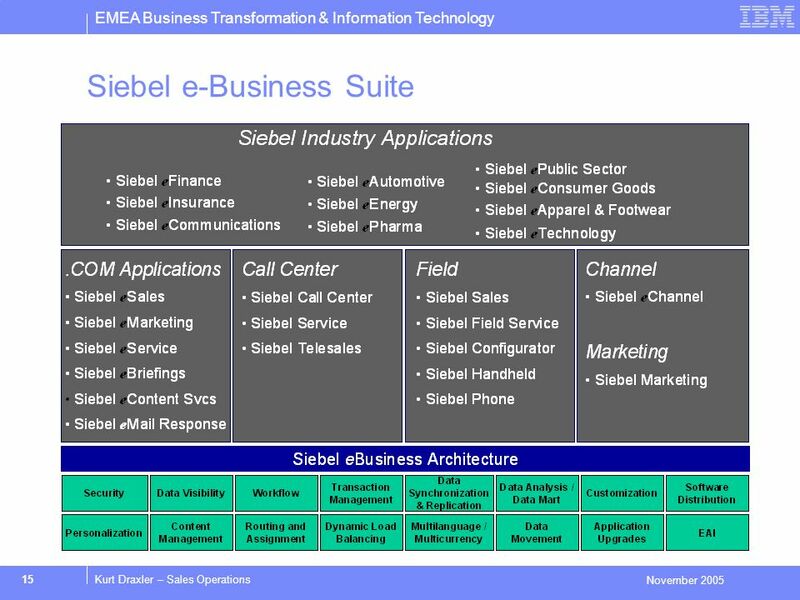 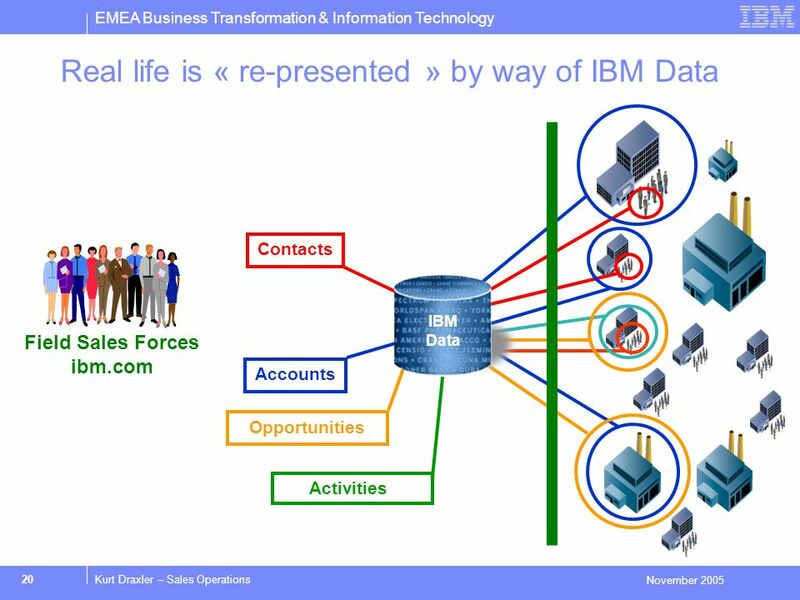 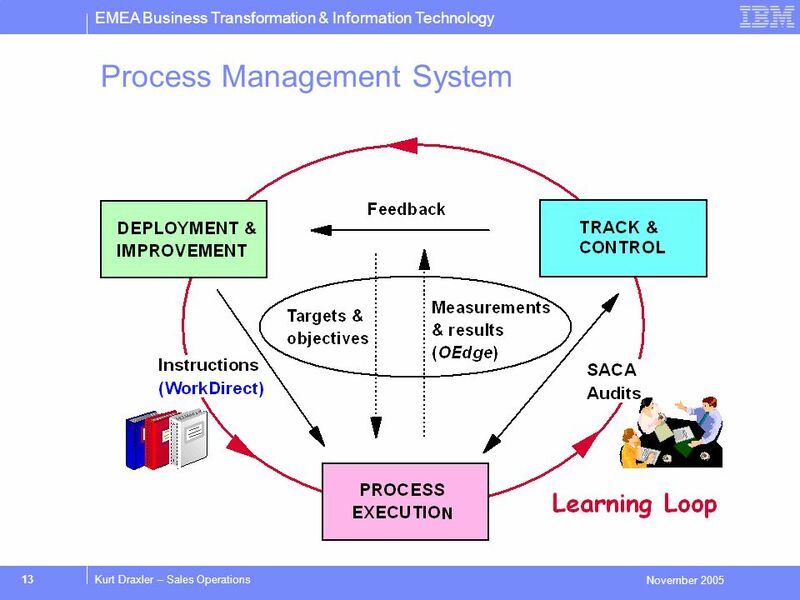 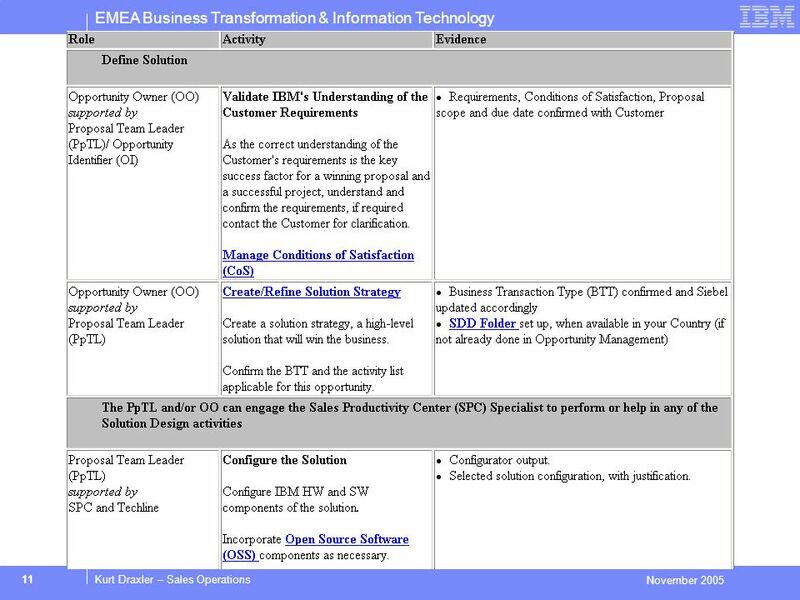 8 EMEA Business Transformation & Information Technology November 2005 8Kurt Draxler – Sales Operations IBMs CRM design points are based on these customer imperatives. 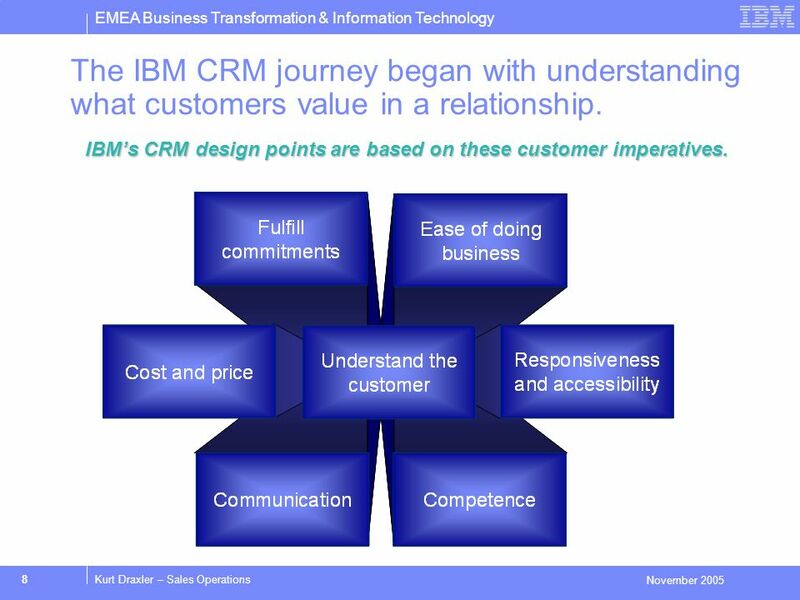 The IBM CRM journey began with understanding what customers value in a relationship. 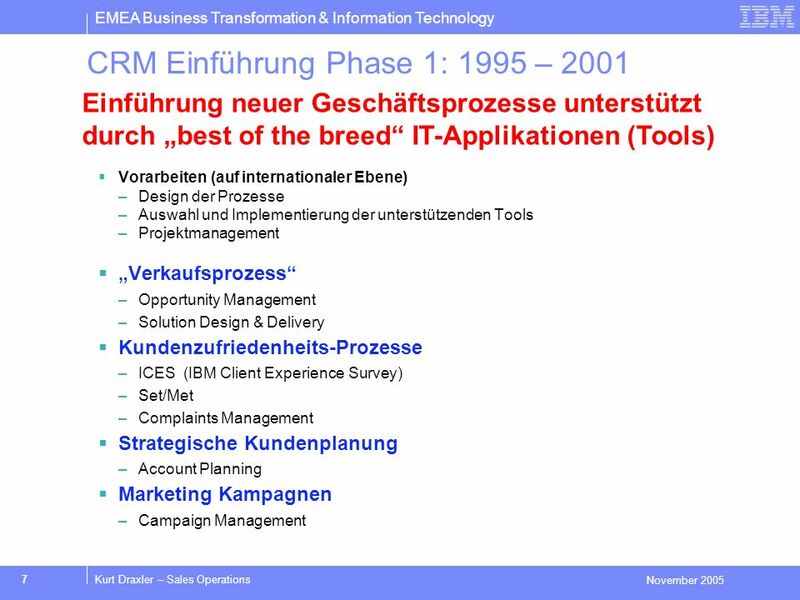 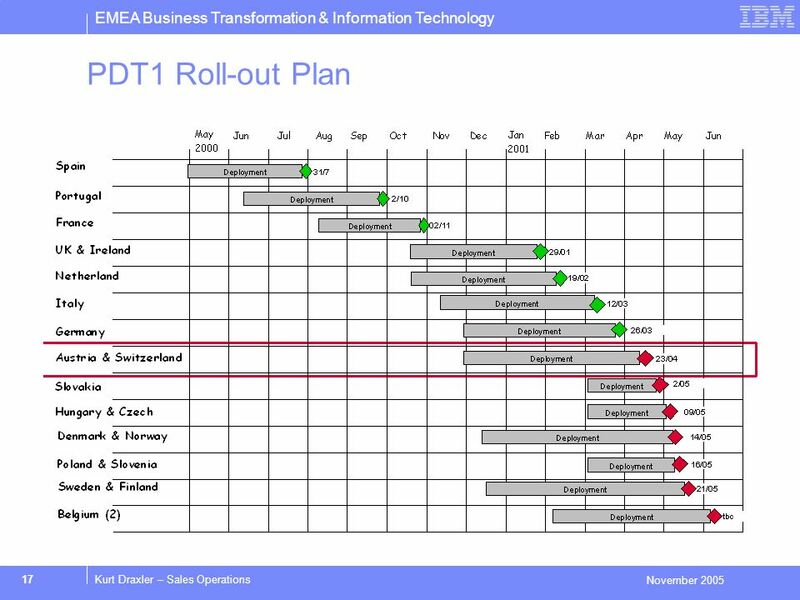 16 EMEA Business Transformation & Information Technology November 2005 16Kurt Draxler – Sales Operations CRM Organization Worldwide CRM Teams Geo Americas CRM Teams Geo Europe CRM Teams Geo Asia/Pacific CRM Teams Countries: AT, CH, DE, UK, NL, …..
Herunterladen ppt "EMEA Business Transformation & Information Technology November 2005 1Kurt Draxler – Sales Operations IBM Customer Relationship Management IBM: Facts &"
Die Dekade für Menschenrechtsbildung der Vereinigten Nationen, : Erfahrungen und Herausforderungen Frank Elbers Deputy Director Human Rights Education. 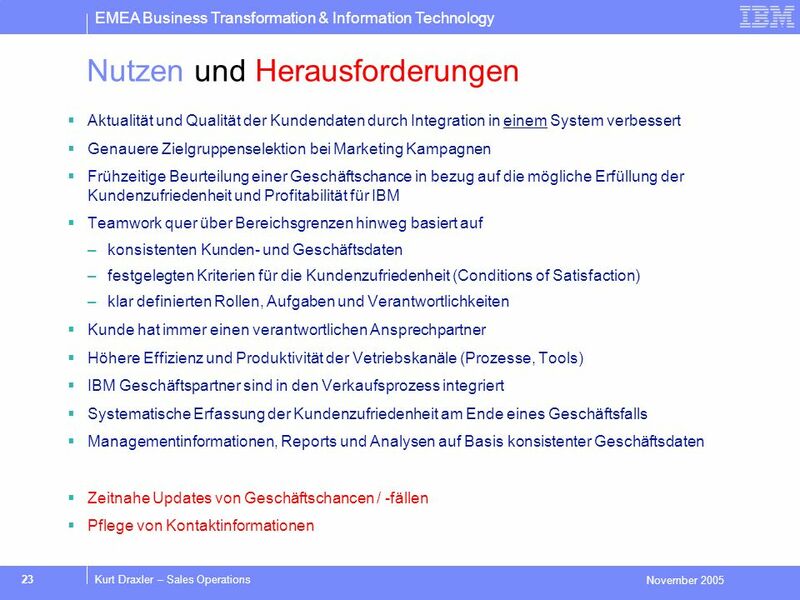 Vernetzung von Repositorien : DRIVER Guidelines Dr Dale Peters, SUB Goettingen 4. 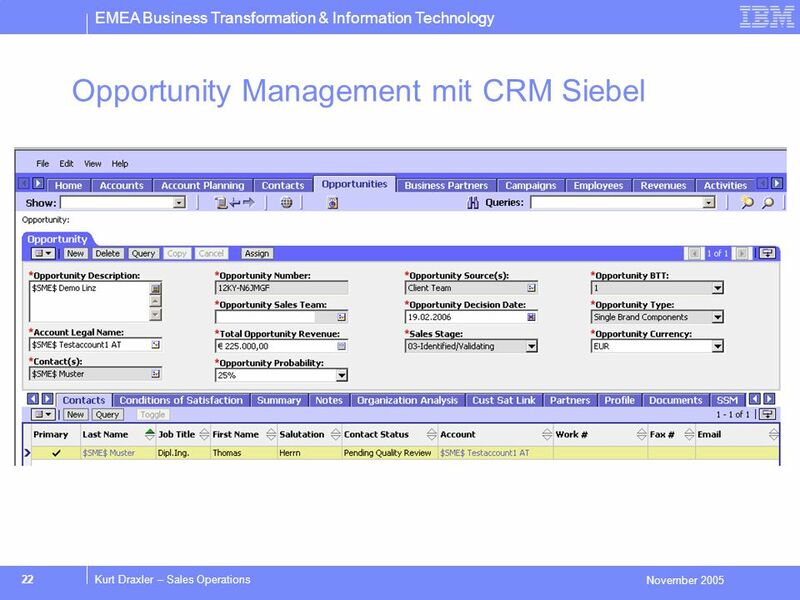 Helmholtz Open Access Workshop Potsdam, 17 Juni 2008. 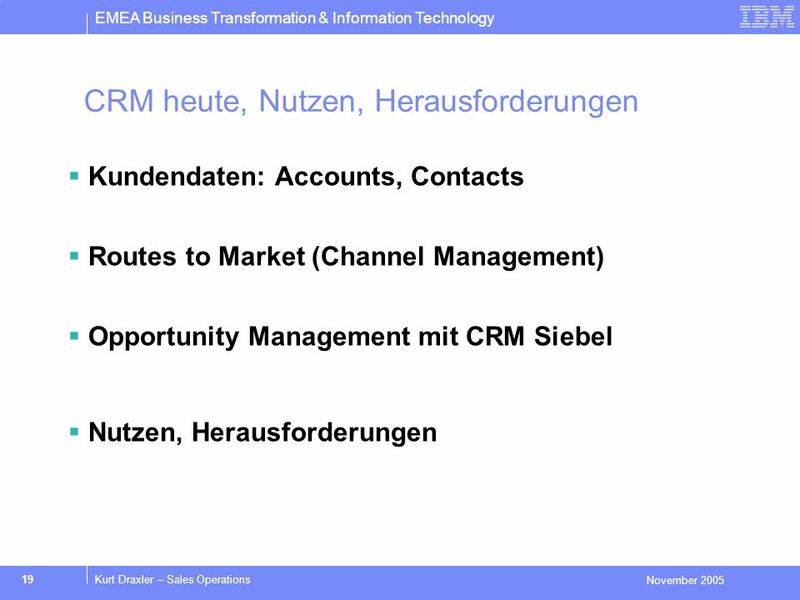 SAP AG 2001 Corporate HR, Franz Deitering SAPs Business Situation, Challenges and Implications for HR Claus Heinrich Member of the Executive Board, SAP.